The honorable order book of the beginning of the year promises an excellent 2018! The prism of the order book is an excellent indicator and carefully scrutinized; it provides the ability to forecast the annual evolution of the company activity. In less than 3 months, ALLIMAND Group has almost filled its annual order book by registering orders for two new specialty paper machines in Europe and China. Sensitive to the industrial design of its customer's machines, the ALLIMAND Group has customized these two paper machines. Intended for the production of high added value papers, they showcase a very innovative design for these kinds of applications. Deliveries will run from the end of 2018 to the middle of 2019. Well positioned in the paper machine rebuild market, the ALLIMAND Group continues its strategy of deployment in Europe and Asia. In France, the group has sold, among other things, two of its S4 Headboxes with profile control by dilution for packaging papers and the modification of a nonwovens machine. In Spain, it will deliver at the end of the second quarter a S4 Headbox with profile control by dilution and a Naos shoe press. Finally, in Asia (China) the Group has signed a contract for stock preparation equipment (refiners) and an Isa Shaking Unit in Indonesia. «All of these orders represent an order book of more than 60 million euros, which is rather satisfactory, in this first quarter of the year» says Franck RETTMEYER, Chairman & CEO of ALLIMAND Group. Who, during a factory visit in the years 80's – 90's, never witnessed an operator stuck on a machine, causing the rupture of a whole production line of? At the time, the industrialists practiced "functional automation". They had their own services to regulate breakdowns (mechanics, electricity, hydraulics ... etc.). Fortunately, the industrial world has evolved! 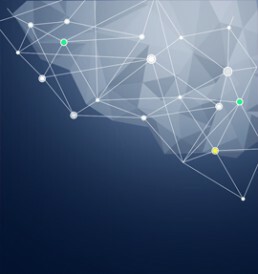 The evolution of control systems has allowed the visualization of processes and the regrouping of machine information. Operator aids have been put in place to make machine operation easier (visualization of graphics, etc. ), and in particular, the first level of assistance for breakdown diagnostics. "In the last few years, the ALLIMAND Group has initiated a concept of preventive maintenance, aimed at defining the number of operating hours of a part and potentially the need to change it. 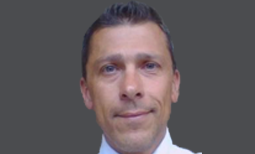 These services are now managed by the ALLIMAND SERVICES department", explains Gilles TURREL, ALLIMAND's Automation Manager. Automation is currently moving towards industrial computing. Maintenance and monitoring are not limited to the analysis of data; the goal is to provide users with features to facilitate their tasks. These features include: storage and sharing of technical documents, report writing tools and trouble tickets, history of data and actions, role management and access rights, a notification system by e-mail and SMS ... etc. And why not move in the medium term, to the preventive maintenance of a speciality machine via connected sensors that will trace the information such as temperature, pressure or level of wear of a part of the machine...? "When we are able to consolidate this data which is currently capitalized by the ALLIMAND Group's start-up and maintenance technical teams - field data and data provided by the machine control systems - we will then be able to analyze them, define operating matrices, interact on this data remotely and make maintenance predictions" says Gilles TURREL. The ALLIMAND Group is considering a real investment strategy in automation, in order to be able to collect data from remote machines via an advanced digital infrastructure. "It's about moving towards Industry 5.0, production-oriented, in order to collect information to a data acquisition system on a server with careful data analysis" argues Franck RETTMEYER, ALLIMAND Group CEO. The goal is to be able to interact on this data remotely and to be able to adapt the paper machines accordingly. In addition to digitization, Franck RETTMEYER also puts the related data security issues into perspective, in order to guard against potential cyber-attacks, given the increasing connectivity of equipment. Year 2017: ALLIMAND Group is experiencing growth momentum ! ALLIMAND Group is experiencing growth momentum ! Ahead of the 3rd Papermakers Union meeting which will be held in Grenoble from 21 to 22 November, the ALLIMAND Group, designer, manufacturer of paper and nonwovens machines, recognized for its innovation strategy, highlights the challenges during 2017. Implementation and reconstruction of high value added paper and nonwovens machines, a new deployment strategy in North America and R & D investments, enable it to experience growth momentum around the world. “Our high added value paper machines are present all over the world on two levels: new machines especially this year in France, the United States and China. We also recorded orders for the rebuild of paper and board machines destined for France, Holland, England, Indonesia and North Africa” said Franck RETTMEYER, CEO of ALLIMAND Group. In the United States, the acquisition of the American company INTERWEB, which is specialized in Nonwovens machines, is being completed in late 2016, resulting in the deployment of a new organization, in line with the approved business plan. The first North American orders were registered and a major investment in the Nonwovens pilot machine from the ALLIMAND Competence Center is underway and will be completed by early 2018. This investment will complement the range of tests offered our Customers and Prospects specializing in Nonwovens and the arrival of new ALLIMAND equipment with innovative technology. In terms of Research and Development, ALLIMAND will introduce in the beginning of 2018 a new family of pneumatic Headbox with profile control by dilution. Take up of a double challenge in China for the ALLIMAND Group ! 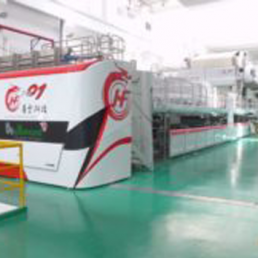 The ALLIMAND Group as designer & manufacturer of paper and nonwovens machines recognized for its innovation strategy has delivered simultaneously to one of its Chinese historical customers, HUAFENG, two paper machines with very high added value in replacement of the 3 previous ones initially installed by ALLIMAND. As part of the contract signed at the end of 2015, which came into effect in 2016, the delivery of these two complete production lines was planned in response to the customer strategic, economic and technical challenges. The objective of HUAFENG was as follows: to have the most efficient machines and to improve the quality of the paper products. Let’s focus on a double challenge taken up by the ALLIMAND Group in Asia. Hangzhou – capital city of the Chinese Zhejiang province is recognized for its sweet life atmosphere as a resort for former Chinese emperors. Over the years the population has grown and factories formerly installed in the suburbs were forced to move away from the city center. 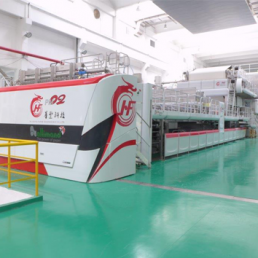 The Hua Feng Group was the first one to move and took advantage of this opportunity to replace its three old paper machines. The first machine designed for different paper types has got the objective to produce cigarette, tipping, plug wrap papers, etc. ; the second is dedicated exclusively to the cigarette papers. “The constraints of our customer have been expressed according to the real estate program put in place by the City of Hangzhou” explains Jean-Dominique BONFANTI, Technical Director of the ALLIMAND Group. “The total transfer of production was planned on the new site of our customer end of March 2017, i.e. at the time of the shutdown of the last chimney of the coal-fired power plant that produced the steam required for the old site – our customer had to let run the machines in place until the last moment in order to keep an uninterrupted sales capacity. The customer has also pushed to get a quality level ever yet achieved within its group “. The exponential growth of China in recent decades made it a country ranking among the first economic powers in the world, and as such the first worldwide polluter with sulfur dioxide (SO2). In this context for increased sustainable development, the customer required very strict specifications from the ALLIMAND group, aimed in particular at reducing the rate of carbon emission. The Research & Development department of the group has responded favorably to this technical constraint in presenting technologies with low energy consumption. Public health issues related to the consumption of tobacco in China have pushed the Allimand engineers to design both production lines to manufacture papers with a perfectly controlled porosity. This know-how on the porosity consistency has helped to decrease significantly the rates of tar and carbon monoxide in the smoke of cigarettes made with the papers produced by the 2 machines. 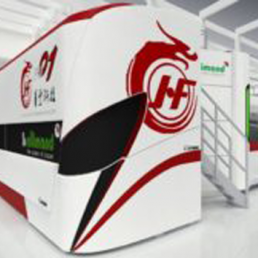 Highly concerned with the industrial design of the machines of its customers, the ALLIMAND group has managed to customize the safety guards of paper machines with the same colors and logo of the customer in accordance with the graphic charter of Hua Feng mainly in red color. This “final touch” on ALLIMAND machines responds in fact to the objectives of the security criteria optimization associated with the ergonomics of both machines. “The willingness of our Chairman & CEO, Franck RETTMEYER, is to provide ongoing support to our customers during all phases of a project. It has been the case for Hua Feng especially for the auxiliary equipment that they had to purchase” continues Jean-Dominique BONFANTI. The ALLIMAND Group is thus in a permanent process of support to the customer at several stages. 6 months prior to the delivery of the machine, a delegation of about fifteen people constituted of engineers and supervisors came on ALLIMAND site to receive a theoretical training in dedicated rooms during two weeks. 1 months later, a second delegation (for the second ALLIMAND machine) was given the same training in France. 1 month prior to the delivery a series of practical trainings in the new plant in China -this time- were added to the first theoretical training in order to give the operating staff the ability to work on its own. Of course a simultaneous translation into English and Chinese was ensured by ALLIMAND during these periods of training. The customer plans to install a total of 6 complete production lines of paper machines on the new site. The ALLIMAND Group can look to the future with confidence on a market that he knows perfectly well. Production : A sheet of 3.35 meters wide at 550 m/minute or more i.e. 30 m² of paper per second. Dimensions of each machine: length = 65 meters; width = 5 meters; height = 12 meters. Dimensions of each building: length = 150 meters; width = 33 meters; height = 21 meters. Number of employees on the new site: 300 people. 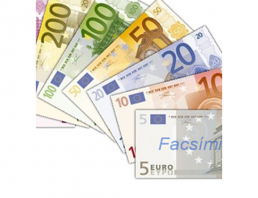 THE ALLIMAND GROUP WINS THE PRESTIGIOUS ORDER OF A MACHINE FOR THE FUTURE EURO BANKNOTES…. THE ALLIMAND GROUP WINS THE PRESTIGIOUS ORDER OF A SPECIAL PAPER MACHINE, INTENDED TO MANUFACTURE THE PAPER SUPPORT FOR THE FUTURE EURO BANKNOTES…. The ALLIMAND Group, designer and manufacturer of paper & nonwovens machines, renowned for its continuous innovation strategy, won the order for the new paper machine for the production of the security paper required for the printing of Euro banknotes. 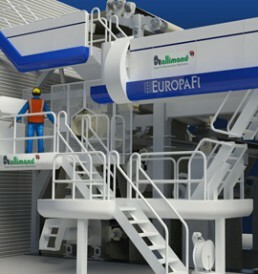 This machine, which is currently being installed at the EUROPAFI mill in Vic-le-Comte (Puy-de-Dôme), a European public fiduciary center, will go into production at the end of 2017. A banknote, by definition, needs to be particularly resistant to aging, manipulations and tearing or counterfeiting. The euro is known to be the most secure banknote in the world, with 10 apparent security features, including holograms, magnetized inks and secret signs, plus a complex encryption of banknotes and a watermark. Made exclusively of highly refined cotton pulp, the future banknote must fulfill all security and inalterability conditions. “Paper money is a strong symbol of the power of a country and can offer extreme levels of sophistication. We, the ALLIMAND Group, are very proud in to have won the contract for a machine for such a prestigious institution. In France we are usually more present on machine rebuilds”, explains Franck RETTMEYER, CEO of the Group. The mechanical assembly (piping and wiring) of the future paper machine, with a width of 2.55 meters and a length of about 100 meters, is almost complete. The ALLIMAND group has demonstrated its ability to manage a turnkey contract. “For this machine, we have not only had to supply all of the machine auxiliary equipment but also the DCS – Distributed Control System, for which ALLIMAND carried out the programming and the electrical power supply part” explained the two Project Engineers, Christine PIEGAY and Christophe TRIOULEYRE. In addition, adaptations had to be made during the project in order to allow the installation of security control devices linked to security paper-making and in particular to the Euro. Since January, the phases of parts delivery and machine assembly succeed each other in order to ensure minimum storage on site and optimized machine assembly time. A complete testing phase of the machine will take place in June and manufacturing will start over the summer. The total investment of the Vic-le-Comte (63) paper mill, in various equipment, covers 75 million euros. The aim of EUROPAFI, the ALLIMAND Group’s customer, is to double the production capacity and to manufacture around 50% of the paper needed for the annual issue of Euro banknotes in Vic-le-Comte. In the long term, the site must supply several printers in the Eurozone. 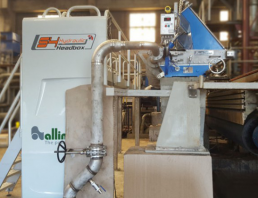 THE ALLIMAND GROUP, DESIGNER AND MANUFACTURER OF PAPER MACHINES AND NONWOVENS, RECOGNIZED FOR ITS CONTINUOUS INNOVATION STRATEGY, HAS JUST LAUNCHED A NEW HYDRAULIC HEADBOX* NAMED S4, WHICH IS CHARACTERIZED BY HIGH TECH TECHNOLOGY. FOCUS ON THIS KEY PART OF THE PAPER MACHINE, WHICH MEETS THE MANUFACTURING NEEDS RANGING FROM CONVENIENCE PAPERS AND PACKAGING TO SPECIALTY PAPERS. “The new rebuild projects of existing machines require the evolution of paper types, quality improvement or capacity increase,” explains Dr Simon CENA, General Manager of ALLIMAND GROUP. “When reconstructing paper machines, priority is given to the most compact equipment which can be installed with minimum auxiliary equipment and enable an optimized balance between the benefits and investment”. Compact design and simplified construction. Hydraulic performance maintained for the entire production speed range, optimum formation ensured. High-performance basis weight profile control by dilution, allowing individual control of orientation and basis weight profile. This new S4 hydraulic headbox ALLIMAND is characterized by a highly developped technology, optimized compactness, balance between benefits/investment and its design taking into account the needs of the operators of production. In conclusion, the objectives set for the development of the new ALLIMAND hydraulic headbox S4 have been achieved and the first examples have recently been put into service in the field of packaging. * The headbox is an element of the paper machine which ensures a uniform distribution of the pulp. It’s done! The ALLIMAND Group, a designer and manufacturer of paper and nonwoven machines, has just officially signed the acquisition of GLENS FALLS INTERWEB (GFI), a recognized leader in nonwoven products in the United States. Thanks to its financial base and expertise in the design and building of non-woven paper machines and highly technical processes, the ALLIMAND Group thus consolidates, with the takeover of GFI, its positioning on all nonwoven products on the five continents. 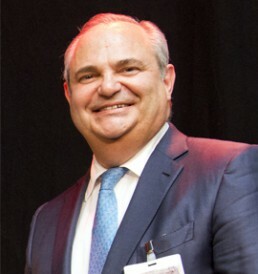 “The acquisition of GFI, a company well-known and recognized in the United States as a specialist in high-tech nonwoven products (1), is a development opportunity for ALLIMAND, enabling us to strengthen our technology and know-how on fiberglass or carbon and ceramic veil machines, and therefore reach new customers,” says Franck RETTMEYER, Chairman & CEO of the ALLIMAND Group. This merger is part of the continuity of an order for a nonwoven machine in the United States, delivered in 2016 for a large international group, leader in its market. 2008, marked by the financial crisis, the irreversible development of @ media and communication, the planned slowdown in investment in China and Asia, reinforced the ALLIMAND Group’s decision to refocus on highly value-added paper. In 2010, the investment of a nonwoven pilot machine in the United States enabled ALLIMAND to sign major contracts and complete its portfolio with orders for nonwoven long-fiber machines installed worldwide (Germany, France, Spain, England, United States, China). Less than 10 miles are currently separating the ALLIMAND Group nonwoven pilot machine from the company GFI INTERWEB, located on the outskirts of the city of Albany, New York State. “This synergy will allow us to conquer new customers and increase the representation of the range of ALLIMAND machines in North America and in Canada,” continues Franck RETTMEYER. (1) Non-woven high-tech products: fiberglass materials and sails, carbon fiber webs, ceramic fiber materials, nonwoven synthetic fibers enrich the existing range of ALLIMAND nonwoven products, namely: Liquid filtration (tea bag, coffee pods), car filtration (air, fuel, oil), wipes and hygiene, specialties (overlay, wallpaper, battery separators, high porosity Plug Wrap … etc). Mr. RETTMEYER you are working flat out at the end of this year, with prestigious contracts, particularly the paper machine which will manufacture banknotes for EUROPAFI / BDF … What are your success factors? Is the economic recovery on a global scale or is this level of activity specific to the ALLIMAND Group ? Franck RETTMEYER : The recovery doesn’t only concern the ALLIMAND group. In 2008 – 2009, we decided to refocus on paper with very high added value. This focus has allowed us to take orders including that of EUROPAFI and complete our portfolio with nonwoven machines built worldwide. This conjunction of elements, driven by a market that invests, and also the strong packaging market, allows us to take orders and turn effectively at “full throttle”. For next year, your order book looks healthy with the order a new nonwoven machine in Asia, a special paper machine in China, and the delivery of the paper machine for EUROPAFI. So Asia is the Eldorado for paper machine manufacturers ? Franck RETTMEYER : Firstly, this nonwoven machine in Asia represents a new success for ALLIMAND, and in addition to other paper machine orders taken a few months ago. China is not the Eldorado; on the contrary, the Asian continent has become less and less accessible these last few years. However, the Chinese have a particular demand for machines and highly technical processes, which ALLIMAND can meet. 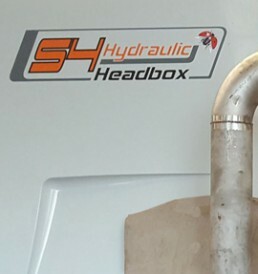 The new S4 hydraulic headbox – the latest ALLIMAND development. 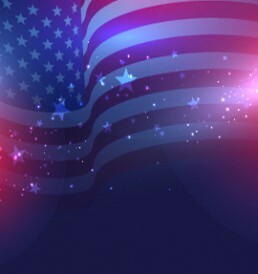 Your merger-acquisition project in the UNITED STATES is starting to take shape … Can you tell us more and tell us the direct impact it will have on the products you offer, your market and finally in terms of employment in the area…? Franck RETTMEYER : This project will materialize by the end of the year. It will allow ALLIMAND to strengthen its high-tech machinery and therefore reach new customers through the acquisition of new technologies. Given the slowdown in investments in Asia and China, it was essential to find new markets, and the North American market is particularly appropriate for this type of machine. 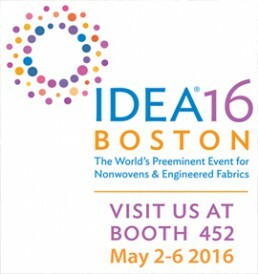 We have already delivered a nonwoven machine in the USA this year, to a large international group. This merger and acquisition is a continuation of this order. An appointment will be made by the end of the year, the time to finalize contracts which are complicated to draw up, considering the US laws. ATIP 2016: What message would you like to get across in the framework of the 2nd meeting of the Paper Union Association, as a captain of industry ? What place can the industry hope to occupy in today’s French economy…? Franck RETTMEYER : A technical association is always representative of the companies it represents. 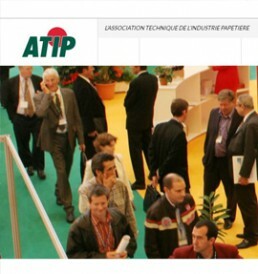 The ATIP manages to gather together paper makers and manufacturers. We can only encourage them to continue on this path. For a manufacturer like ALLIMAND, it is the opportunity to present its references, its success with its customers and new products. This year we will present our new S4 hydraulic headbox – the latest ALLIMAND development – for which the first commercial success was recorded in Thailand. This question concerning the place of industry in the French economy is more political. Certainly, until recent years, consumption was favored at the expense of the creation and manufacture of products on French soil. In an unstable international context of the political, economic and financial situation, the corporate world is looking for answers to the daily questions concerning its future. However, more than ever, Franck RETTMEYER, CEO of the ALLIMAND Group, designer and manufacturer of paper and fibrous materials machinery since 1850, continues the growth dynamic. He highlights the significant increase in order intake of 15 to 20% since the beginning of the year. Let’s take stock of the Group’s economic activity, mid 2016. Since 2014, France has lost its position as the fifth largest world economy, dethroned by the United Kingdom. The country struggles to emerge from the crisis, despite a rebound in GDP growth in 2015 (1.2%), supported by the recovery of public and household consumption. It is estimated that growth will be of 1.4% in 2016, below its pre-crisis level. What is the level of activity of the Group ALLIMAND? Franck RETTMEYER : We recorded this year a significant increase in our order books intake of 15 to 20 %. These orders include paper machine rebuilds for the packaging and board industry and complete paper machines in France, Asia and the United States. These orders mainly concern special paper machines, paperboard machines and nonwoven machines, two sectors that invest regularly worldwide. Will this strong growth create jobs within the ALLIMAND Group? Franck RETTMEYER : Yes and no. We have set up a 4 year employment plan, consisting of recruitment of new skills and qualified personnel. More specifically, we regularly hire each year paper engineers, process engineers, mechanics and technicians to operate the “latest generation” machining centers. A lot of candidates come from the Rhône-Alpes area, but we also hire people from all geographical origins. You have just returned from a trip in South Africa… As President of SYMOP (Union of production and technology manufacturers for the paper industry), you organized two conferences in South Africa to meet the papermakers of this country. Can you tell us more…? Franck RETTMEYER : Whether in Durban for the first conference or in Johannesburg for the second, more than 140 paper manufacturers accepted the invitation from the French manufacturers, in a friendly learning atmosphere, to learn about the French offer. A great success, with the added advantage of the strong involvement of Madam the Ambassador of South Africa. BUSINESS IS ABOUT TAKING RISKS…! Franck RETTMEYER : In the world’s history, it is the first time that we have ever had such an opportunity: that of having the ability to market our products all over the world…! The future is for those with audacity. But the law based on the precautionary principle, no longer allows the French to start up businesses. It kills the spirit of initiative. Our best talent leaves France because they want to express themselves, where they have opportunity, without being thrashed by taxes. Now starting up means taking risks! A manufacturer must take risks. The group ALLIMAND continues to invest in the renewal of its machine tools park in Rives in Isère (38) and to develop new products for the paper industry. What are the prospects for the ALLIMAND Group for the coming years? Franck RETTMEYER : We have a major external growth project for paper with very high added value. It will complement the geographical coverage of the ALLIMAND group, present today in Europe and Asia. This information will be announced in preview in September. Aware of the impact digital marketing and social media have on a company today (communication, marketing, sales, customer relations), the ALLIMAND Group, designer and manufacturer of paper and fiber mat machines since 1850, undergoes a complete digital turnaround with the launch of its new website. Shaping, structuring the outline of its new corporate strategy, the Group, on the lookout for the latest web 3.0 trends, clearly defines a new vision of the customer relationship. Focused around the base line “AGILITY FOR…”, ALLIMAND’s new website demonstrates -if needed- its ability to adapt to the market and its customer’s needs in “start-up mode”, that is to say, acting in real time to deal with changes. “Being agile means responding, reacting. Not remaining trapped in the concepts, organization methods and structures of the past: “To think out of the box”. The goal is to always remain in control whatever the circumstances,” argues Fabrice GILET, ALLIMAND Sales Director. From the home page, the emphasis is put on the ALLIMAND Group’s organization and communication orientated towards excellence and high level expertise and innovation in R&D. “Beyond the objective of presenting a clearer picture of the company’s activity, we hope that every customer can relate to the website and position the ALLIMAND Group as a partner,” he adds. “Optimizing a wider communication towards all market players, whatever their status, function or position in the company, became essential in the context of strengthening our marketing strategy”. Professional showcase of high added value products, the website naturally has a responsive design, allowing users to consult on their computers, smartphones and tablets. The site will be translated initially into Spanish and Chinese, and then German and Japanese, to meet the requirements of the main target markets of the Group. 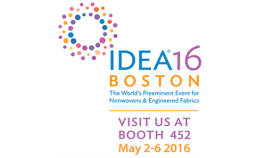 ALLIMAND, key manufacturer for the nonwoven market, will be present at IDEA 2016 in Boston from the 2nd to the 5th of May 2016. Optimisation and long term monitoring of the production line operational characteristics. 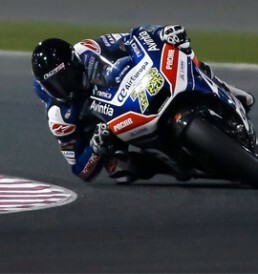 Having sponsored Loris BAZ for the last two years for the Superbike World Championship, with a promising future, Allimand renews its contract with the young rider for the MotoGP World Championship, the premier class of GP motorcycle racing. This year is a year of change for Loris BAZ, a new team with a new bike and new rules which will allow him to express his talent. Talent is something the young rider is not lacking. The midseason trials proved that we can count on him to get good results for the 2016 season. Early this year, the ALLIMAND Group, French designer and manufacturer of paper machines for the paper industry, Rives (38 – Isère – Rhône-Alpes), has just taken a new order for a latest generation hydraulic headbox, to replace one of the existing headboxes of its Asian customer. The customer, ASIA KRAFT PAPER Group Co, Ltd, is a leading Thai actor in the packaging sector. Highly integrated, it has several processing plants and a paper production plant for packaging, fluting & liner papers on the outskirts of Bangkok. With a clear technologically competitive advantage, ALLIMAND was quickly able to turn the decision in its favour and convince ASIA KRAFT PAPER to once again put their trust in the industrial SME. ALLIMAND is a long-standing partner of the ASIA KRAFT Group, including having delivered and started up the largest of the 2 paper machines in 2002; a complete production line of corrugated base paper with a capacity of 150,000 t/year. It’s more recently on the oldest paper machine, that ALLIMAND machinery was requested by the ASIA KRAFT Group, with the delivery and commissioning in 2014 of a new FP ALLIMAND headbox for the top wire of the 2 wire part paper machine. Encouraged by the excellent results obtained with this ALLIMAND “SII” headbox on the top layer of this machine, ALLIMAND naturally became a candidate for the replacement of the bottom headbox, decided by the Thai group ASIA KRAFT PAPER Co, Ltd. For this new headbox, ALLIMAND offers the latest evolution S4 of its hydraulic headbox, a concept particularly suitable for flow rates of the lower layer. 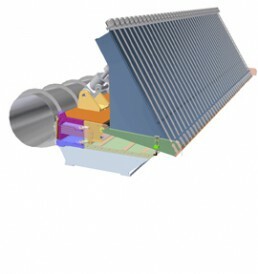 All features (see box below) allow ALLIMAND be able to offer its customers a high-performance hydraulic headbox at a perfectly managed price, capable of covering a wide range of applications on different types of paper. ALLIMAND Hydraulic headbox S4 is characterized by an extremely compact design, without any compromises being made in respecting the hydraulic criteria which allow ALLIMAND hydraulic headboxes to deliver a perfectly homogeneous spray and an optimum deflocculating effect. As part of a machine rebuild, its lateral feeding system allows it to be installed on machines with very little space, minimizing the cost of modifying equipment on the approach flow system. The ALLIMAND hydraulic headbox S4 can be supplied with or without the system of basis weight control by dilution and is suitable for a wide range of papers. It has easy access for cleaning operations by tipping the rear feeding system and if necessary, by the lateral opening of the flanges.